We invite you to celebrate the joy of Jesus’ Resurrection with powerful and uplifting music and a message of hope in the light of Jesus overcoming the darkness of the world. Services at 9 and 11 a.m. are family friendly and include a children’s message. Childcare is available for children age 4 and under. 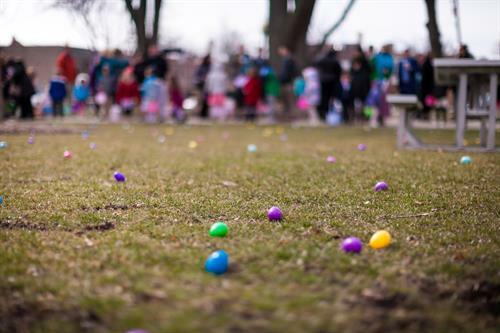 You’ll find a welcoming community and, between services at 10:15 a.m., the delight of children with Easter baskets in hand ready for our Easter egg hunt in Memorial Park, across from our parking lot. Come, rejoice in the Risen Christ at Gary Church. Worship at 9 & 11 a.m.